Have you checked your anxiety level lately? Founded in February 1997, Project Vision 21 is a multigenerational, multilingual, multicultural consulting firm based in Aurora, Colorado, USA. A company provides consulting services and creative solutions for government agencies, large corporations, and nonprofit organizations in need of effective Hispanic/Latino/Latinx outreach. At a practical level, we provide professional translations (English/Spanish), or better, transcreation and transcontextualization of messages, as well as community outreach, and various forms of training, including Spanish-language for busy professionals and English-language for busy adults. We also provide other services, including real estate in the metropolitan area of Denver, Colorado. Please, use the Contact above for additional information. "You remember the past. You live the present. You think the future". 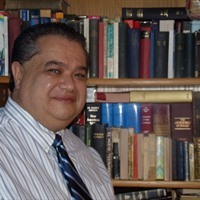 Enrique Santin.